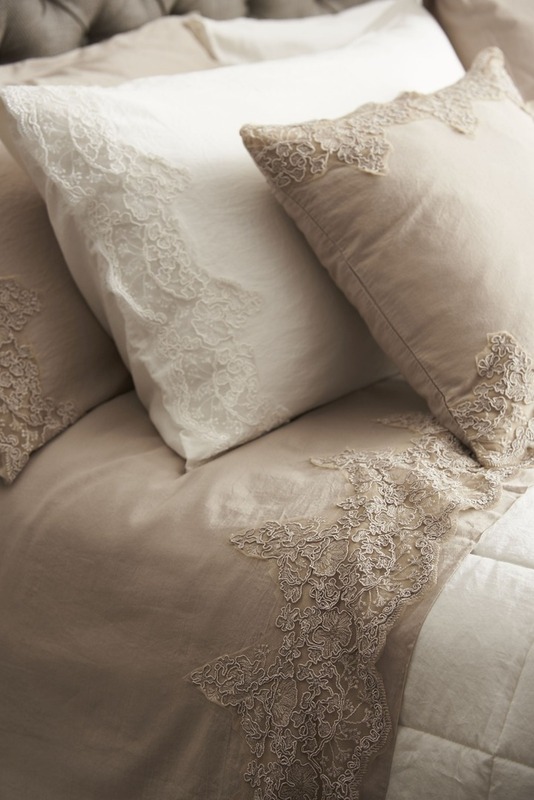 Sheets in Egyptian cotton satin dyed in garment with extra-soft hand, with embroidery applied on reverse and pillowcases. Straight reverse. Bag cases with embroidery applied. Washing:Wash in water at temperatures below 30°C. Use non-aggressive detergents or delicate items. Do not bleach. Wash with fabric softener and tumbler drying. Iron at low temperatures.